World Science Day falls every year on November 10. It highlights the significant role of science in society and its importance and relevance in our daily lives and at work. Recalling that everyone has a right to participate in and benefit from science, the day will serve to spark a global discussion on ways to improve access to science and to the benefits of science for sustainable development. In a societal point of view, science should provide quality solutions to our daily problems, as well as to technical and philosophical issues. On the other hand, in order to deliver those expectations, science requires a high level of support from society. However, science also needs to regularly engage in communication with society. Feedback and understanding from the citizens are essential to improve science and to offer the right solutions. This is where Sri Lanka has failed. In our country, communication between scientists, citizens and policymakers still represents a major challenge. Since mid-1960s, successive Governments have invested in science education and curriculum reforms and throughout the years have sought to improve the quality of science education. Despite these investments and reforms, there is serious concern about their outcomes. Recent research has found that students are not able to demonstrate acceptable levels of achievement in applying their scientific knowledge to everyday situations. It is time we address these challenges and seriously consider right pathways for the future. In this writer’s opinion, two important steps have to be taken immediately. Firstly, the current policy initiatives supporting science education need to be thoroughly examined. Secondly, the science programme in schools needs to be reviewed taking into account parameters such as curriculum, teaching and learning methods, learning assessments, teaching material and deployment and training of science teachers. In 2010, the National Science and Technology Policy was developed with strategies to encourage student-directed inquiry and practical skills. Although it was not comprehensive, it was a good policy statement. For a start, this document could be used as a base to derive a suitable new science education policy for the next two to three decades. The two premier national scientific bodies, the Sri Lanka Association for the Advancement for Science (SLAAS) and the National Science Foundation (NSF) can assist in this endeavour. The curriculum is the most important factor in any science education policy. And, the common denominator of any science curriculum is to present science and technology integrated together in a social context. Its explicit objectives should aim to overcome the drawbacks of the present traditional science education programme, such as the lack of students’ interest in science and technology, their low enrolment in these studies, and the marked inequality affecting different areas and so forth. At the end, however, the common vision of the finalised science policy should solve three important issues: (1) increase scientific and technological literacy of citizens, (2) generate science and technology interest in students, (3) help students improve critical thinking, logical reasoning, creative problem solving, and decision making. The contents of science education should be selected based on two criteria: one, focusing on relevant scientific and technological issues that affect traditional Sri Lankan society, and the other, on social and cultural aspects of science and technology, derived from the foreign academic tradition. The former allows a better connection between a student’s interests and the academy, but can lead to a partial and too specialized education due to its more specific nature. The second approach, more general, could provide students with a more comprehensive and durable structure. Science communication is part of a scientist’s everyday life. Scientists must give talks, write papers and proposals, communicate with a variety of audiences, and educate others. Thus, to be successful, regardless of field or career path, scientists must learn how to communicate effectively. When scientists are able to communicate effectively beyond their peers to broader, non-scientist audiences, three things happen simultaneously. It builds support for science, promotes understanding of its wider relevance to society, and encourages more informed decision-making at all levels, from government to communities to individuals. It can also make science accessible to audiences that traditionally have been excluded from the process of science. 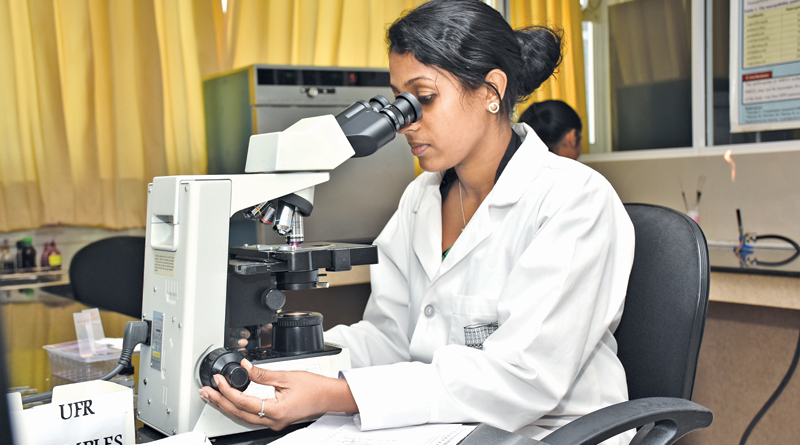 Although having more scientists who are effective communicators benefits science and society greatly, there are still relatively few training opportunities in Sri Lanka for science students and professionals to develop these skills. In the modern world, effective communication skills are no longer perceived as born skills. Increasingly, they are becoming part of the core professional skills every science student and professional should have. Plans must be made, therefore, to develop more science communication training programmes and courses for scientists. Schools and universities have a major role to play in this endeavour but in order to establish a culture of lifelong learning, the other agencies must also be involved. Each sector of the scientific community should consider providing training on communication and greater understanding of the media, arranging non-specialist lectures and demonstrations, organising scientific competitions for younger people, providing briefings for journalists and generally by improving their public relations. Science is relatively well represented in the mainstream news media in Sri Lanka, with editors of major news outlets indicating they believe science is an important component of the daily news stream. However, science is not well represented in general programming, being under represented in factual and documentary programming. The quality of science coverage in the mainstream media could be improved by providing support for scientists to communicate more effectively with the media and for journalists to report on complex science issues, in each case through on-the-job professional development augmented by well supported training. The quantity, diversity and depth of science coverage in the mainstream media could be extended by the creation of more stimulating science images and interactives suitable for new and traditional media. Better overall understanding of science among Parliamentarians would significantly improve the quality of public decision-making. It is not because the ‘right’ decisions would then be made, but because decisions made in the light of an adequate understanding of the issues are likely to be better than decisions made in the absence of such understanding. Likewise, better understanding of science by the higher levels of the administrative service should also lead to better policies. It is obvious then that better public understanding of science can be a major element in promoting national prosperity, in raising the quality of public and private decision-making and in enriching the life of the individual. Improving the public understanding of science is an investment in the future, not a luxury to be indulged in if and when resources allow. There are many other initiatives taken by countries to close the gap between science and society. The National Science Week is one such popular programme. It’s a countrywide annual programme involving various stakeholders and actors conducting science-based activities during the week. It targets at the various levels of society such as students, educators, scientists, youth, public sector, non-governmental organisations (NGOs) and the private sector. Another example is “Citizen Science.” The European Commission defines it as “the general public engagement in scientific research activities when citizens actively contribute to science either with their intellectual effort or surrounding knowledge or with their tools and resources.” Participants provide experimental data and facilities for researchers, raise new questions and co-create a new scientific culture. This initiative involves scientists and non-scientists in projects dealing with real-world questions, and it has been shown that they can be successful, not only in the strict science, but also in engaging non-scientists in the scientific process.